When it comes to travel, most people want to take in all that a country has to offer. People will save their pennies to venture into far off and exotic places in order to experience the architecture, music, landscape and — I think most importantly — the food. Eating something delectable in a strange place rounds out one’s foreign, cultural experience by providing another sensory layer to the trip. It creates depth. The truth is, I have no idea what a typical Canadian meal is. Much like our cultural identity, Canadian dining has no defining feature. Instead, I feel like Canucks rely on the mosaic of options to please their palates, swapping our general lack of culinary identity for our plethora of choices. Nevertheless, there is one man on a quest to discover what it means to be Canadian cuisine. Ian Brown has taken upon this great task of what Canadians eat and has been keeping the country posted on his blog, featured in The Globe and Mail. The result, so far, has been what we had originally hypothesized: they eat everything. From rose and butter poached elk in Calgary to a sorrel topped scallop in St. Catherines, it seems as though Canadians are not picky. Most tend to believe that Canada’s culinary prowess only exists in our three major cities: Toronto, Montréal and Vancouver. These metropolises are multicultural hubs providing not only diverse neighborhoods but an array of meal options. Like most things in large doses, the plenitude of choices would infer that you can only find delicious meals in the city. What is reassuring for those that want to escape the cities and appreciate the Canadian terrain is knowing that there will still be options. The more outlandish — usually “moose” or “elk” meat is a good indicator of game found in our forests — the more Canadian it will be. I guess my recommendation for all travelers trying to fully experience the North would be to try everything. 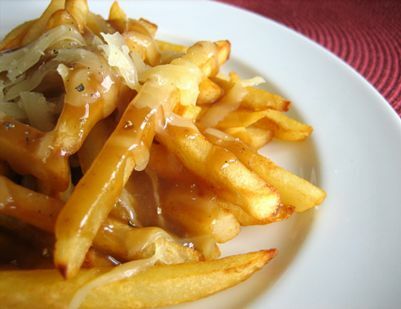 Perhaps that is the Canadian culinary identity: we are delirious with hunger and are willing to eat anything. Then, the question is, why? The answer lies in the hands of Ian Brown. Go forth and eat!